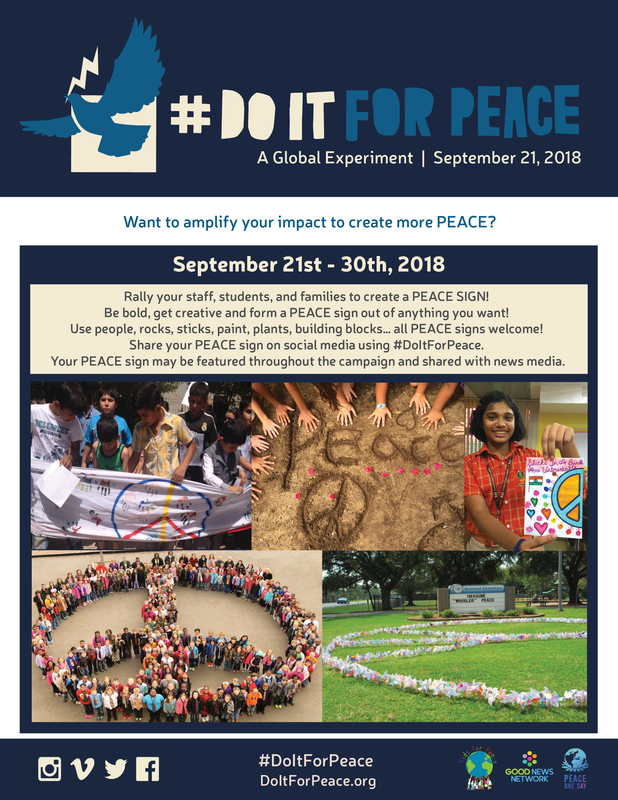 “If we wish to create a lasting peace, we must begin with the children.” We wholeheartedly believe in this quote from Gandhi, and so do our partner schools and clubs which guide the children of the world to #DoItForPeace! 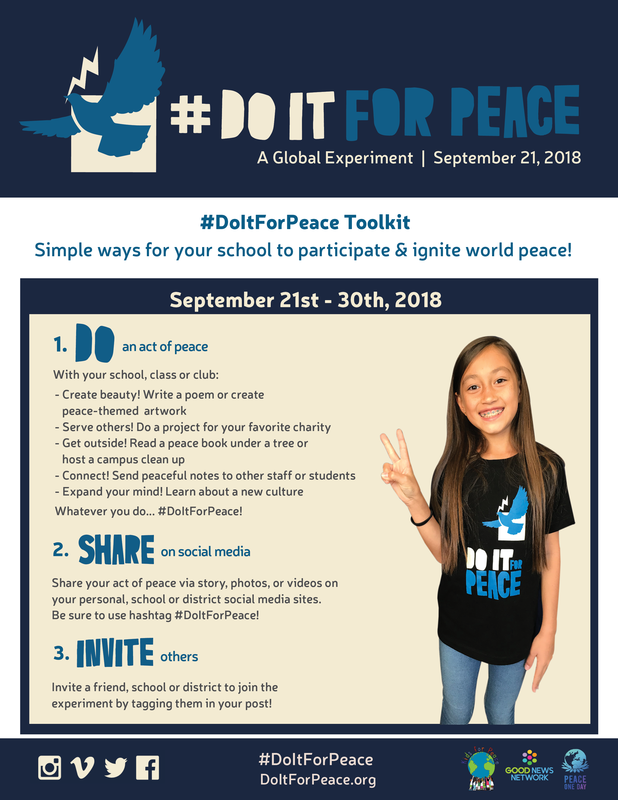 Partner schools and clubs agree to do one act of peace on September 21st, 2018 and share it on school social media using the hashtag #DoItForPeace. 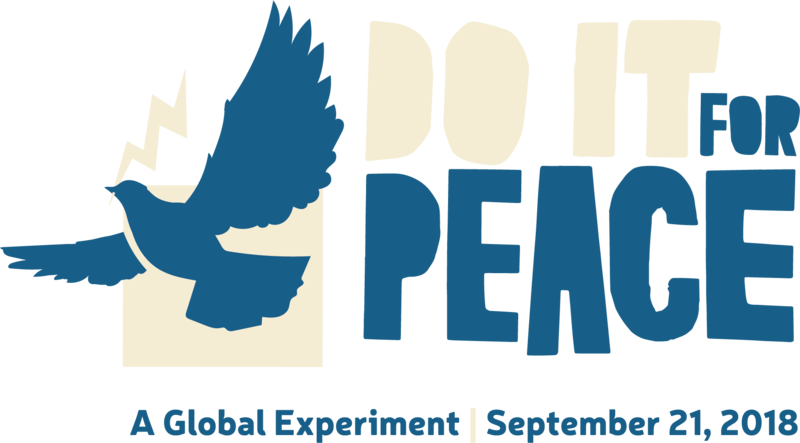 Teachers, staff, and volunteers are also invited to become individual Ignitors.